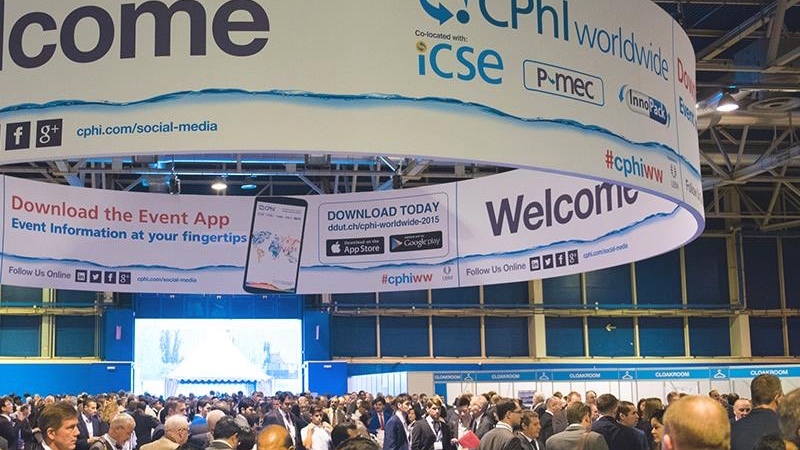 CPhI Worldwide 2018, the international trade show for the pharmaceutical industry, will take place on 9-11 October at IFEMA, Feria de Madrid, in Spain. More than 45,000 industry professionals are expected to attend. The exhibition, together with co-located events ICSE, InnoPack, P-MEC and FDF, features a zoning layout for APIs, pharmaceuticals, custom manufacturing, excipients, fine chemicals, intermediates and natural extracts. 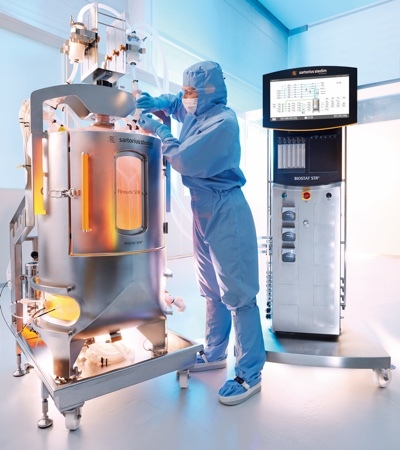 With so much to see during the three-day event, Cleanroom Technology has selected 10 companies exhibiting their latest products and developments at the annual event. CDMO Ardena will be discussing its expanded nanomedicine technology portfolio. The Belgium-based company offers a broad range of nanomedicine services, including GMP manufacturing of crystalline nanosuspensions, liposomes, iron oxide nanoparticles and polymeric nanoparticles. Ardena has recently invested in an agitator bead mill to support clinical manufacturing of crystalline nanosuspensions and has also expanded its use of disposable downstream processing systems to enhance its low-bioburden manufacturing capacity. US-based CDMO, Particle Sciences, will soon open its new commercial drug product manufacturing facility. The 5000 ft2 facility will leverage the companies’ knowledge in complex formulations and drug product manufacturing, enabling the CDMO to offer customers the full range of services from development through to commercial scale manufacturing. The new space was purpose-built for more complex drug products and features state-of-the-art utilities to accommodate the production of water for injection (WFI) and clean steam for clean-in-place processes. 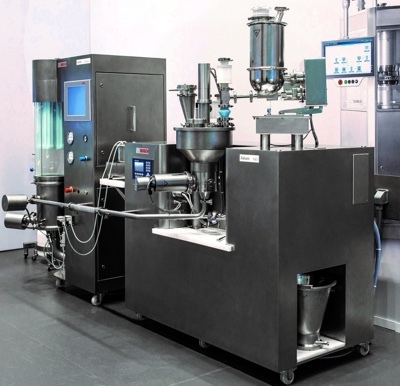 Bosch Packaging Technology, the supplier of process and packaging technology, will showcase its laboratory expertise for oral solid dosage (OSD) forms. The new laboratory device Xelum R&D for continuous manufacturing will be on open display for the first time. In contrast to continual mass flow, the Xelum R&D doses excipients and active ingredients as a discrete mass. This way, customers can dose even smallest amounts of APIs of less than 1%. Telstar’s has unveiled a solution for effectively inducing the start of nucleation in the freeze-drying process, which will enable the pharmaceutical industry to run the freeze-drying process of product batches more efficiently and uniformly. After years of research, this new method –Telstar Lyonuc- will be presented and demonstrated at CPhI. This new method is suitable for any type of freeze-dryer without modifying its main elements or adding gases or external substances. The vacuum-induced nucleation system produces a change in the solid structure of the solution and homogenises the moment freezing starts, so all the vials nucleate at the same time. This new method only requires measuring and controlling the temperature, vacuum and time parameters and it uses the actual tools of a freeze-drying prescription. 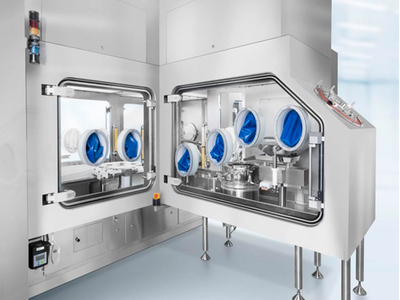 Comecer, the Italian specialist in isolation technology for pharmaceutical, chemical and food industry applications, has a product portfolio that covers high-quality customised solutions. For containment solutions, it offers isolators able to handle highly active principles or excipients, isolators to load reactors and multi-stage isolators for chemical synthesis or laboratory operations. 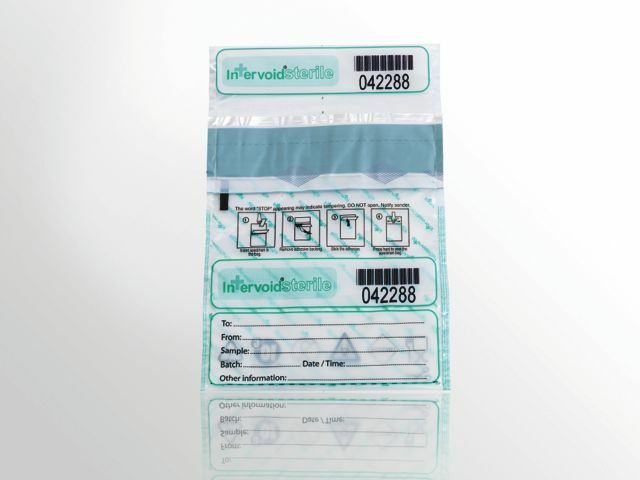 For asepsis, it has isolators for sterility tests and formulators of sterile drugs. The company will be on hand to explain its solutions for Grade A pharmaceutical continuity including RABs, laminar flow trolleys and transfer hatches. 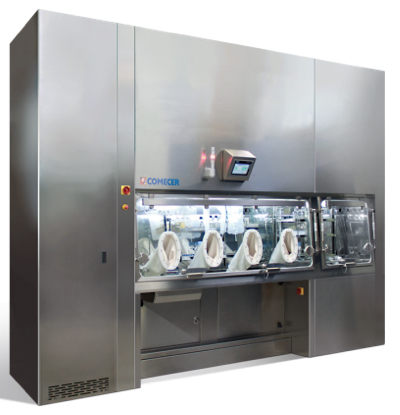 It will also showcase its modular sterility testing isolator (MSTI) system conceived for laboratory professionals who require aseptic conditions for sterility testing of pharmaceutical products. German-based Gerresheimer Medical Systems has introduced a wide range of prefillable plastic syringes for protein-based and biotechnological medications. Made of cyclo olefin polymer (COP) in an injection moulding process, in accordance with cGMP, the syringes are useful for medications that require specialist packaging. The new Gx RTF ClearJect combines its RTF (ready-to-fill) design of glass syringes with ClearJect plastic syringes. The Gx RTF ClearJect syringes are manufactured in Osaka (Japan) by Gerresheimer’s partner Taisei Medical. Sartorius Stedim Biotech (SSB), headquartered in Germany, delivers and implements rapid and cost-effective biomanufacturing solutions. Partners can benefit from a comprehensive bioprocessing technology portfolio coupled with the companies’ expertise in single-use bioprocess engineering. 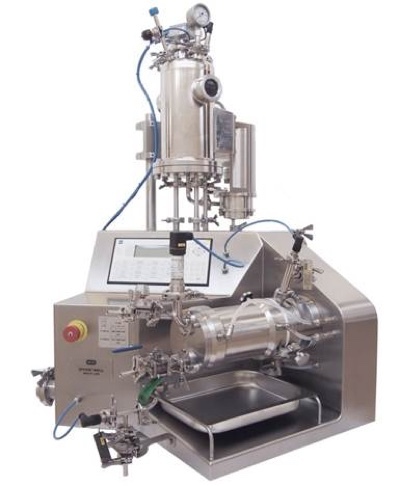 Its perfusion-enabled, BIOSTAT STR, is a large-scale, single-use bioreactor designed to control cell growth, fluid management and cell retention in continous bioprocessing, and ultimately simplify the development and cGMP manufacture of biological drugs. The design conserves the hollow fibre filter technology enabling customers to fast track development and scale up their cell culture perfusion processes. 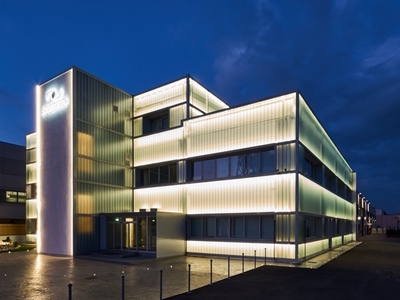 German-based Romaco will share booths with its industry partners Huhtamaki, Biogrund, Hennig Arzneimittel and Skyepharma. The international supplier of processing and packaging equipment specialises in engineering technologies for pharmaceutical solids. 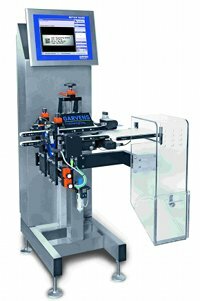 The group provides individual machines and turnkey solutions for manufacturing and packing powders, granulates, pellets, tablets, capsules, syringes and medical devices. Exhibiting at the Biogrund booth, Romaco will display its Ventilus V5 processing machine. The Ventilus technology is suited for both melt and polymer coatings. 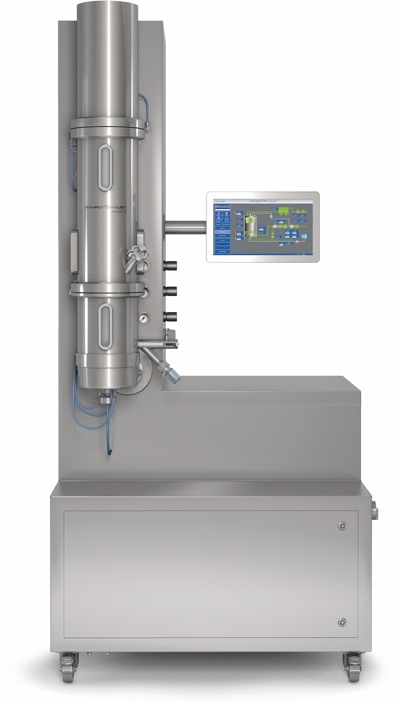 The laboratory-scale machine is used for particle sizes from 10 µm to 2 mm. Only one product container is required for the granulation, drying and coating steps. The homogeneous flow conditions inside the cylindrical product container enable extremely gentle intermixing of the batch. The air flow bed technology ensures accurate control of the product movement and equally precise application of the spray liquids. Recipharm, a CDMO headquartered in Sweden, will showcase its serialisation service, introduced ahead of the EU Falsified Medicines Directive (FMD). 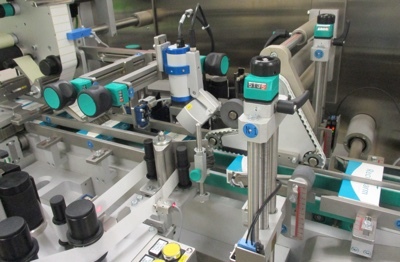 This new service will allow pharmaceutical companies to benefit from Recipharm’s serialisation capabilities as a standalone service. This will ensure that companies that have not yet prepared for the upcoming FMD deadline in February 2019 can achieve compliance in time. As part of the service, Recipharm will be able to add 2D codes, human-readable text and tamper evidence to pre-packaged medicines. Recipharm has announced that it has already delivered more than 1.3 million serialised and aggregated packs of medicine to markets such as China, South Korea, Saudi Arabia and Turkey. Istituto Biochimico Italiano G. Lorenzini, IBI, is a research-based pharmaceutical company working on the development and production of medicines worldwide. 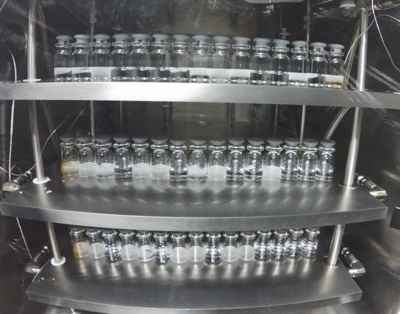 IBI is active in the penicillin market and has the capability for aseptic filling for injectable drugs. The Italian company has developed many of its manufacturing processes in-house; from the semi synthesis of active substances to the development of formulations. 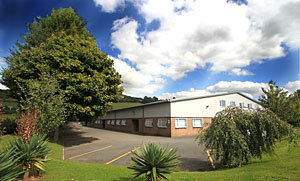 IBI provides a wide range of pharmaceutical products.